Park 100 can advice all clients on the extensive monitoring services available for both intruder alarms, fire alarms and CCTV systems. New or existing systems can be linked to a Monitoring Centre. Fire Alarms, Intruder Alarms & CCTV systems can be connected into monitored centre and set up to meet customer requirements in line with current PSA regulations. Contact us for further information. When an intruder,CCTV or fire alarm is activated at a client premises, a signal is sent to the monitoring centre and displayed on workstations manned by experienced controllers. On receipt of this signal, a controller will call the key-holder, Gardai, fire service or security staff, as arranged with the client. If necessary, the controller can stay in contact with the key-holder and arrange to have the police or fire service attend the scene. Why change to our Long Range Radio Monitoring for your security solution? The ATR100 cannot be blocked by GSM/GPRS jammers. The ATR100 cannot be rendered redundant by malicious telephone line cutting. The ATR100 sends alarm signals in full compliance with the Garda Policy on Monitored Alarms. The ATR100 can monitor fire and water alarms and also provide open and close reports. The ATR100 is the only radio monitoring solution with EN-50136 certification. The ATR100 complies with all European Standard insurance grades (1-4) under EN-50131 and EN-50136. Monitoring takes place via our dedicated radio network and not via a congested cellular network. With radio monitoring, should the alarm activate a radio transmitter fitted at the protected premises will send a signal back to a monitoring via a private radio network. At AlarmControl24 we have our own private Long Range Radio Network which is licensed by COMREG and does not share bandwidth with any other radio providers. The ATR100 Radio transmitter is the only EN-50136 certified radio transmitter in Ireland. Our radio network is totally secure, penetrable proof against GSM/GPRS jammers and is the most reliable and effective tool against these jammers. Most recently our radio monitoring solution has been awarded “Innovation in Security 2014″ by the Irish Security Industry Association (ISIA). A “digital communicator” or “digi” is connected to the phone line from the intruder or fire system. When the alarm activates it sends a signal to the alarm receiving centre (ARC). The GSM and the GPRS element of this communicator both transmit via the cellular network back to the ARC. Certain manufacturers of GSM/GPRS units have claimed that their unit is “GSM blocker proof” and that their unit can still contact a monitoring centre when a jammer is switched on. This is simply not possible. All signaling between a GSM/GPRS unit and the monitoring centre is blocked when a jammer is switched on. A GSM Dialler uses the cellular network to transmit its signals to the ARC. This is often installed in premises where a telephone digi is installed, thereby providing two forms of signalling to the ARC. 5.Are you a business owner concerned about your spend on manned guards? Are you a business owner concerned about metal theft? Are you a builder concerned about leaving your site exposed overnight? 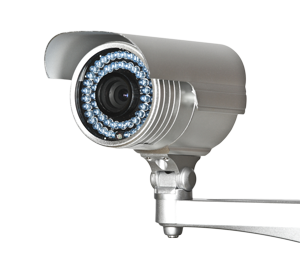 Remotewatch Business Live CCTV is the solution. Our Remotewatch © solution offers remote CCTV monitoring with audio warnings for all types of businesses. With Remotewatch © manned security is no longer required and with visual verification false alarms are eliminated. The result? Your business saves a huge amount of money and in return a state of the art security system will be protecting your assets. With our unique system we will discreetly monitor your business from our monitoring centre. Should an intruder break a beam on your perimeter or boundary wall, live images will immediately present in our monitoring centre and trained operators will warn the intruder that they are being watched and that Gardai have been informed.